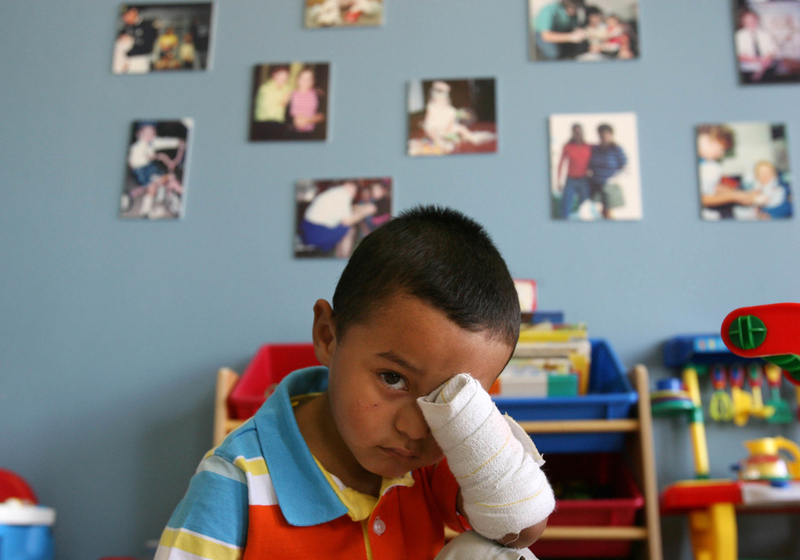 Emilio Jimenez, 3, of Houston, Texas plays in the lobby of Pediatric Prosthetics Incorporated where he was waiting to be fitted with his new myoelectric prosthetic arm. Emilio's arm was was torn off in an accident in December. His new prosthesis will be able to read brain signals which will allow the prostheic hand to open and close.